100% combed cotton, can be worn with button down collared shirts, with or without a tie, polo shirts, and even crew neck T-shirts. And there's even the option to wear it under a sport jacket or blazer. Color: black, navy, charcoal, grey. (Due To The Monitor Settings, The Colors May Look Different.) Seasons: suit for spring, autumn, winter.Suitable for multi occasion: perfect fit for casual or business. 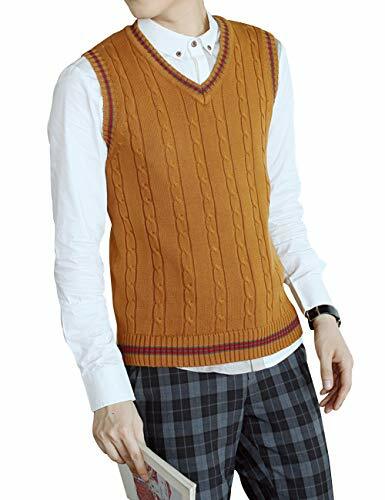 Package: 1 x sweater vest.Please refer to the size chart for measurement information before decision-making. (The measurements are actual flat measured clothing length.) Size fit: US SIZE, slim (You may choose 1 SIZE UP if you want to be loose fit.) Size S - Across Shoulder: 15"; Chest: 37"; Center Back Length: 25.5".Size M - Across Shoulder: 16.5"; Chest: 40"; Center Back Length: 26.5".Size L - Across Shoulder: 17.75"; Chest: 44"; Center Back Length: 27.5".Size XL - Across Shoulder: 19"; Chest: 48"; Center Back Length: 28.5".Size XXL - Across Shoulder: 20.5"; Chest: 52"; Center Back Length: 29.5".SIZE & FIT: Model is wearing a size L. Model's Measurements ---- Height 6'2". Weight 183 LB. Chest 38.98". Waist 32.28". 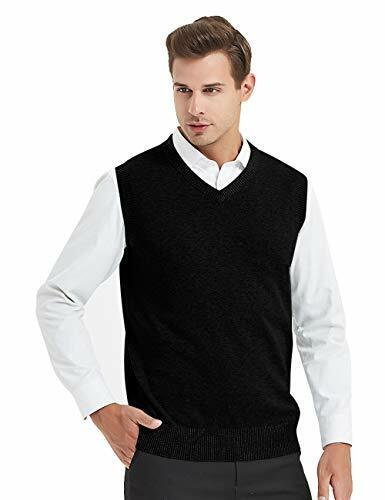 Men's V neck sweater vest. Ribbed hemline for a fitted look. V neckline. Soft, breathable material. Ideal for business or dress occasions. Pair with jeans for a more casual look or dress up with slacks for an event! Material: 100% combed cotton, Soft and comfortable. Color: black, navy, charcoal, brown. (Due To The Monitor Settings, The Colors May Look Different. )Seasons: suit for spring, autumn, winter. 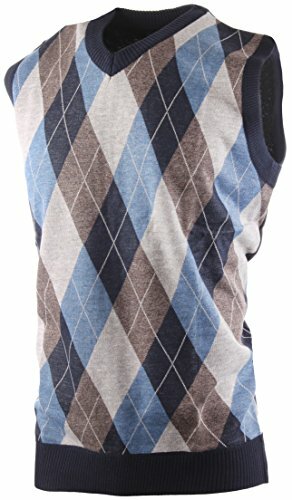 Package: 1 x sweater vest. Suitable for multi occasion: perfect fit for casual or business. 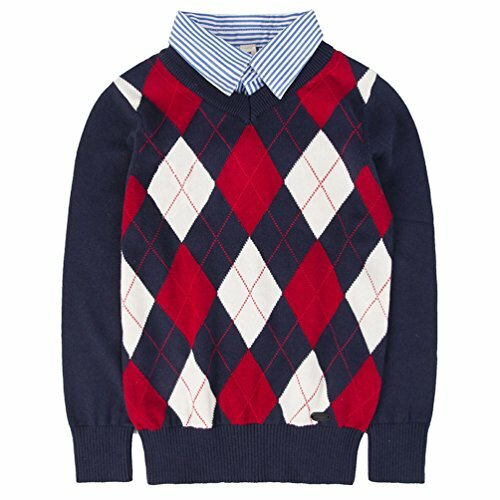 Be worn with button down collared shirts, with or without a tie, polo shirts, and even crew neck T-shirts. 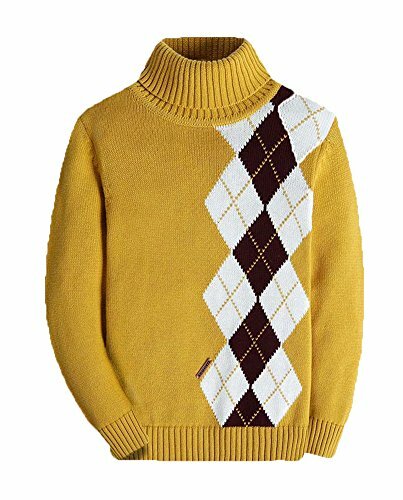 And there's even the option to wear it under a sport jacket or blazer. Washing instructions: Hand wash in cold water or gentle dry clean recommended, do not bleach. Note: Please refer to the size chart for measurement information before decision-making. (The measurements are actual flat measured clothing length.) Size S - Across Shoulder: 15"; Chest: 37"; Center Back Length: 25.5".Size M - Across Shoulder: 16.5"; Chest: 40"; Center Back Length: 26.5".Size L - Across Shoulder: 17.75"; Chest: 44"; Center Back Length: 27.5".Size XL - Across Shoulder: 19"; Chest: 48"; Center Back Length: 28.5".Size XXL - Across Shoulder: 20.5"; Chest: 52"; Center Back Length: 29.5".Note: as different computers display colors differently, the color of the actual item may be different, thanks for your understanding. 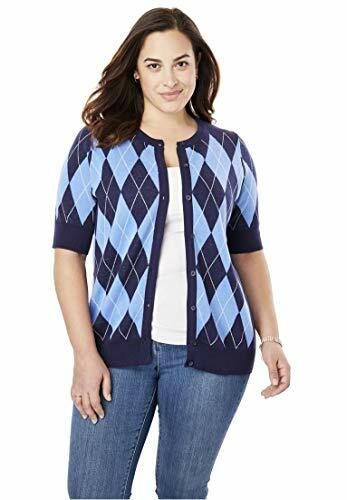 Shopping Results for "Cotton Argyle Sweater"